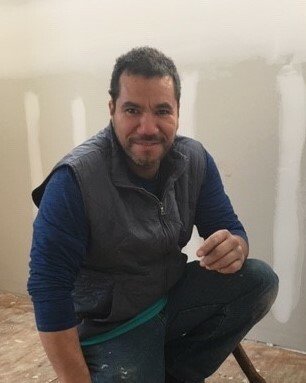 Elmer Velasco | Abrahamse & Company Builders, Inc.
Elmer began his building career in Charlottesville in 1997 having first learned the trade from his Grandfather in El Salvador. Skilled in all aspects of carpentry as well as drywall and plaster work, with a particular fondness for fine built-in cabinetry, he originally brought his many talents to the Abrahamse team from 2003 through 2008, rejoining our team in April of 2018. He is a fast and efficient worker who takes pride in the quality of his work, and has worked on a wide variety of projects including new custom homes, additions and major renovations. Elmer lives with his son in Ruckersville and is a motorcycle enthusiast. In his spare time you may see him riding his sport bike with friends.